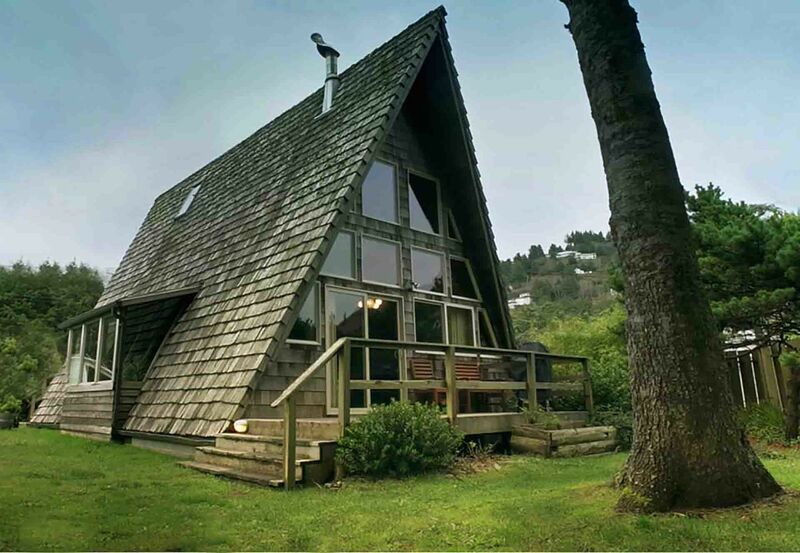 The coolest house in Yachats, oh yes! Sweet Homes Rentals bring you this lovely A Frame home, a cozy, rustic cabin by the sea. On the ground level of this quaint beach home, there is a bedroom with a queen size bed, a bathroom, a living room with a pull-out sofa, a dining area, and kitchen. The upstairs is an open sleeping loft, with a queen size bed that looks over the main living space. This unique home has a wood burning stove, a large yard with a deck, and even a swing in the living room! The third level crow's nest is a perfect nook to nestle in with a book and watch the ocean. There's also free WiFi, a TV with DVD player, towels and linens, a propane grill and all the essentials to make your beach getaway comfortable. 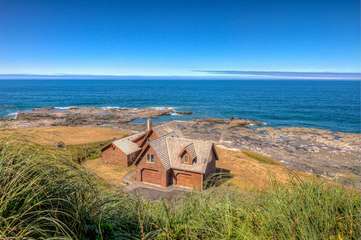 This historic home in the heart of Yachats sits next to Yachats State Park with a beautiful ocean view. Once you arrive, there's no need to drive anywhere because everything is nearby. You and your guests will be just a few steps from the ocean, with both rocky and sandy beaches a short walk away. Staying at the Rock Park A-frame will give you the experience of roughing it at the beach, with the comforts of being at home. The all-summer migration of gray whales can be viewed from Yachats State Park located adjacent to the cottages. In the evening, families gather at the park to view the sunset, watch for the elusive "Green Flash", build a bonfire on the beach, stroll the unspoiled sandy shore, and explore the glistening tide pools. The famous 804 Walking Trail begins just south of downtown Yachats and runs through Yachats State Park. Continue on the rocky shoreline another 1.5 miles, and the 804 Trail will lead you to a 7-mile-long sandy beach! The beach ends in Waldport, at the mouth of the Alsea River. It has breathtaking views and is a great walking/jogging trail, with spectacular photo opportunities, morning, noon, or evening. 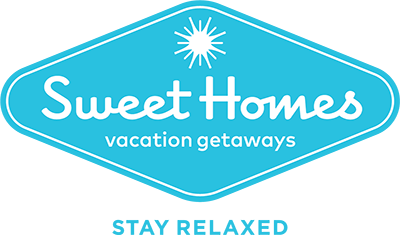 â€‹â€‹â€‹â€‹â€‹â€‹â€‹Sleeps up to 6 - 1 Bedroom & Sleeping Loft; 2 Queens, 1 Sofa Sleeper, 1 bath, and a fun crow's nest. 2 to 4 night minimum (seasonal and holidays). 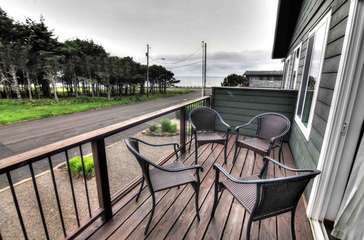 **Oct. 1st - May 31st The third night is FREE - excluding holidays - please send inquiry for exact pricing. (lowest listed rate is free) ** Cancellations & Refunds: The total cost of the reservation, less a 10% service charge, is refundable up to 45 days prior to check in. After the 45th day to check in has passed, there is no refund. Check-in any time after 4:00pm on your date of arrival. Age Requirement: The primary registered guest must be at least 26 years of age. The majority of guests must be over 25, or children under adult supervision.